Back in December 2012, two years after Tron: Legacy hit theaters, Garrett Hedlund confirmed that he will return to play Sam Flynn in Disney's Tron 3, but we haven't heard much about the sequel since then. Today, VanCity Buzz reports that production is scheduled to begin on October 5, with Garrett Hedlund currently the only confirmed star at this time. Sources from Badass Digest and /Film confirm the report, while adding that Joseph Kosinski is coming back to direct. Joseph Kosinski revealed back in October 2013 that the script was still being written by Jesse Wigutow (The Crow reboot), who rewrote the original script by David DiGilio (Eight Below). While the director insisted at the time that the project was still moving forward, this is the first we've heard about production getting under way this year. It remains to be seen if Jeff Bridges (Kevin Flynn), Olivia Wilde (Quorra) or Bruce Boxleitner (Alan Bradley/Tron) will reprise their roles. 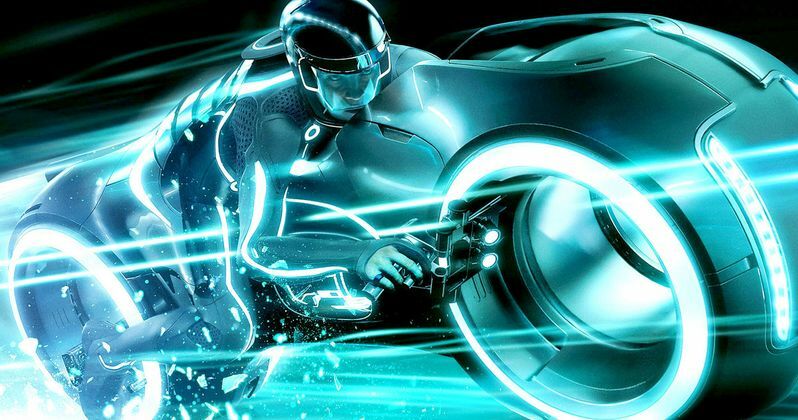 Tron: Legacy earned over $400 million worldwide from a whopping $170 million budget, with a majority of the production taking place in Vancouver at Canadian Motion Picture Park in Burnaby. There were also exterior shoots at the Shangri-La Vancouver Hotel, the Lions Gate Bridge and other areas of East Vancouver. Nothing has been confirmed at this time by Disney regarding Tron 3, but we'll keep you posted as soon as more information is released.